This was the first book by Ruth Reid I had read and I look forward to reading more. 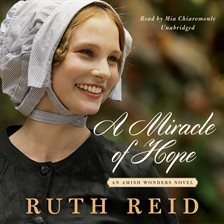 I really enjoyed this story, the author incorporated some modern day dilemmas not often talked about in Amish fiction. The audio (via Hoopla) was very well done and made me want to listen non-stop until I had finished the story.